﻿ Like old shoes and faded wallpaper, everyday things often go unnoticed, which made announcement of the last known specimen of Franciscan manzanita growing wild surprising. It was discovered in the job site where the new Doyle Drive approach to San Francisco’s Golden Gate Bridge is being built, coincidentally a construction job my brother Bob, a civil engineer, has been involved with. Because I’ve grown up in coastal California and have hiked as many deer trails as most natives, Manzanita is commonplace in my natural environment. I notice it when it flowers or when the tough, low-lying varieties join in forming dense chaparral that blocks direct hiking access to a vista. ﻿But, until now, I’ve never counted the 40 varieties of the native species, never considered that it might have a known variety that has gone extinct. So the announcement in the fall of 2009 that a botanist driving by the Doyle Drive job site saw a single specimen of a Franciscan Manzanita, (Arctostaphylos franciscana), a species previously thought to be extinct in the wild since 1947 was a delightful surprise. Quickly following discovery of the plant, a conservation plan was designed to protect the plant, which was then transplanted to the Presidio of San Francisco. That same year, environmental organizations petitioned the U.S. Fish and Wildlife Service to list the plant as endangered on an emergency basis under the Endangered Species Act and to designate critical habitat. The plant had first been discussed for protection in 1976, but was not listed at that time because it was thought to be extinct in the wild. There are specimens in botanical and private gardens, but it’s not a trail side plant anymore. For the next couple of months, the service will be taking comments about the emergency listing of the Franciscan manzanita and anyone with an interest or knowledge of the species can comment through the Federal eRulemaking Portal at: http://www.regulations.gov/. In the Keywords box, enter Docket No. FWS–R8–ES–2010–0049 and follow the instructions for submitting comments. Comments also can be submitted through the U.S. mail or hand-delivered to: Public Comments Processing, Attn: FWS-R8-ES-2010-0049; Division of Policy and Directives Management; U.S. Fish and Wildlife Service; 4401 N. Fairfax Drive, Suite 222; Arlington , VA 22203 . The Federal Register notice and additional information on the announcement can be found at http://www.fws.gov/sacramento. 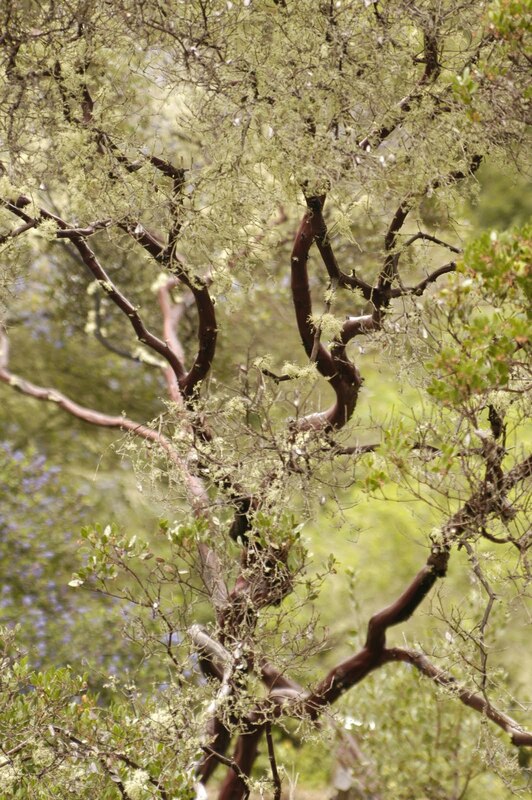 But, saving a single species of manzanita is only one step in protecting and incorporating these hardy native plants into our lives – into our gardens and our environment. You can grow a manzanita if you live in the Western United States. 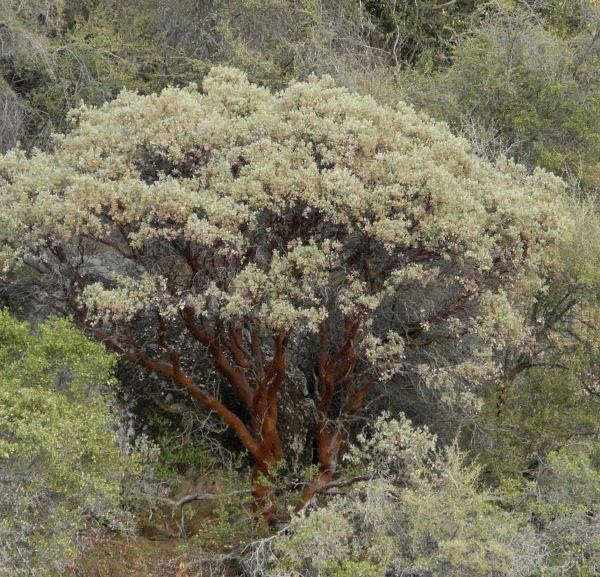 Manzanita species grow from two inches (some of the coastal species) to 20 feet (many interior species). Manzanitas are popular in Western gardens for their shiny red or mahogany colored bark that glistens in the winter rain like a jewel. 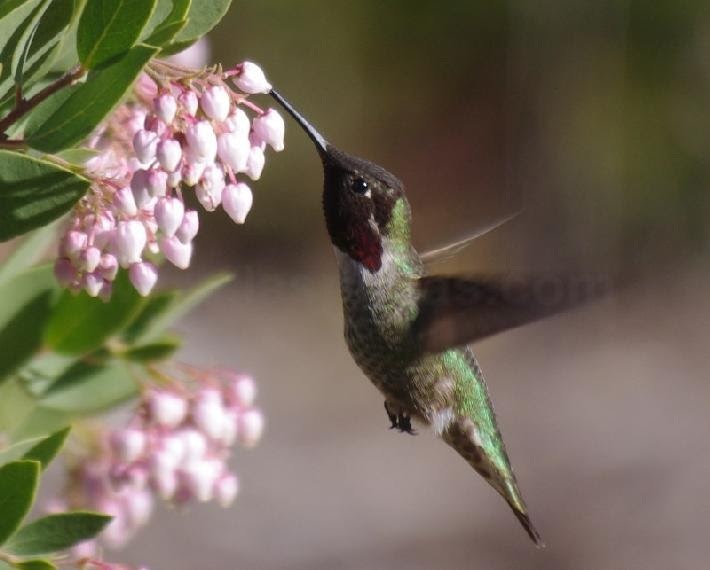 Manzanitas have urn-shaped flowers that vary from pink to white, some say depending on how cold the winter becomes, and are popular with hummingbirds. They are very drought tolerant and evergreen, always looking green and healthy even in the hottest, driest part of the summer. Manzanita (Arctostaphylos spp) is of the family Ericaceae. Plants in this family are highly mycorrhizal (associated with symbiotic fungi). This allows them to survive in many harsh environments, however it also makes them very susceptible fungus infections due to over watering and fertilizing. They really Do Not like to be summer watered nor fertilized. If grown correctly these plants, especially the larger forms, will grow for more than 100 years. Native plant experts say manzanitas are easy to grow in most of California and they are missing from most ornamental landscapes these days. 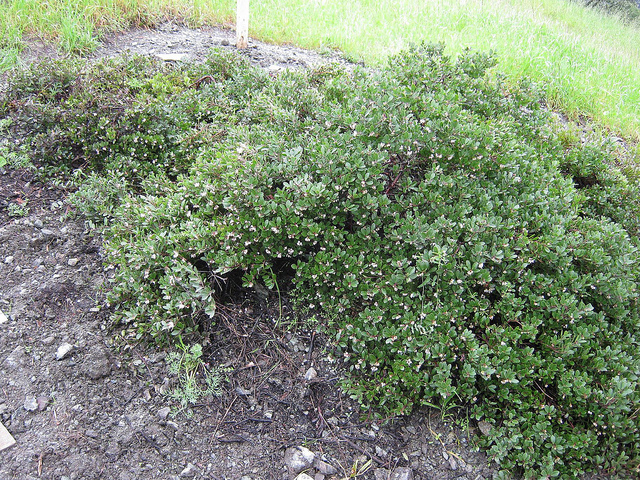 They recommend manzanitas for ground cover and for mixing with more colorful natives like Ceanothus and monkey flowers for more color. Manzanitas also are great wildlife plants. Providing nectar for butterflies, hummingbirds and native insects. But, sadly, many gardeners don’t buy Manzanita because they don’t know they exist or don’t realize the range of species or how to artfully incorporate these native shrubs into low-water garden designs. ﻿ As fall planting season approaches, it’s worth a trip to a local native plant nursery to consider how manzanita might grace your landscaping and honor our native environment at the same time. 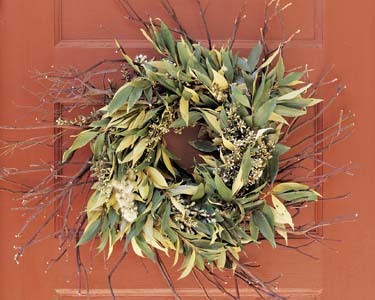 It’s also a plant that offers lots of options for crafts and decorations. The California Chaparral Institute says that of all the distinct, natural communities in California, only one is found throughout the state and only one can be said to represent the state’s most characteristic wilderness: chaparral — a special plant community characterized by drought-hardy, woody shrubs, shaped by a Mediterranean-type climate (summer drought, winter rain) and intense, infrequent wildfires. “It is within the chaparral that California will find its best and perhaps last chance to reclaim its wildness and preserve the quality of life made possible by the region’s natural, open spaces,” the institute says.